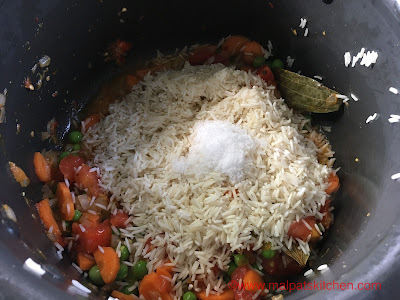 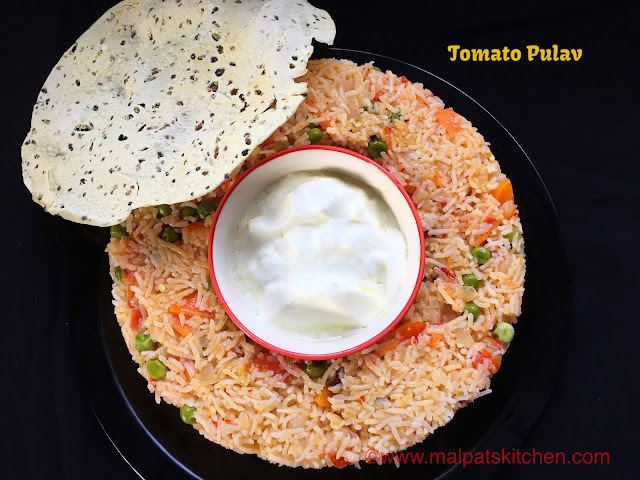 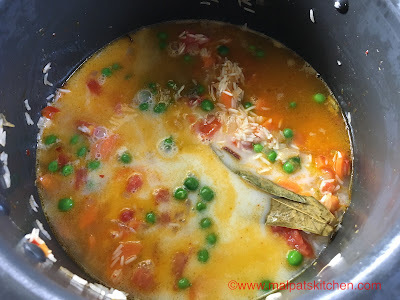 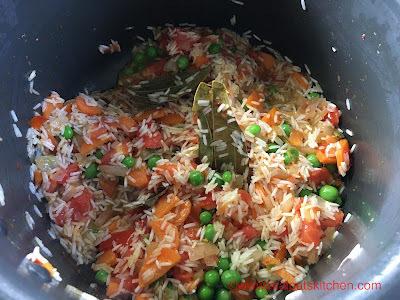 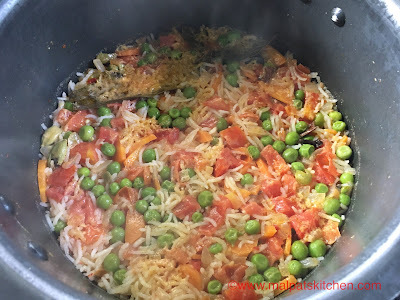 This Tomato Pulav is cooked in coconut milk, and hence is so aromatic and tasty. 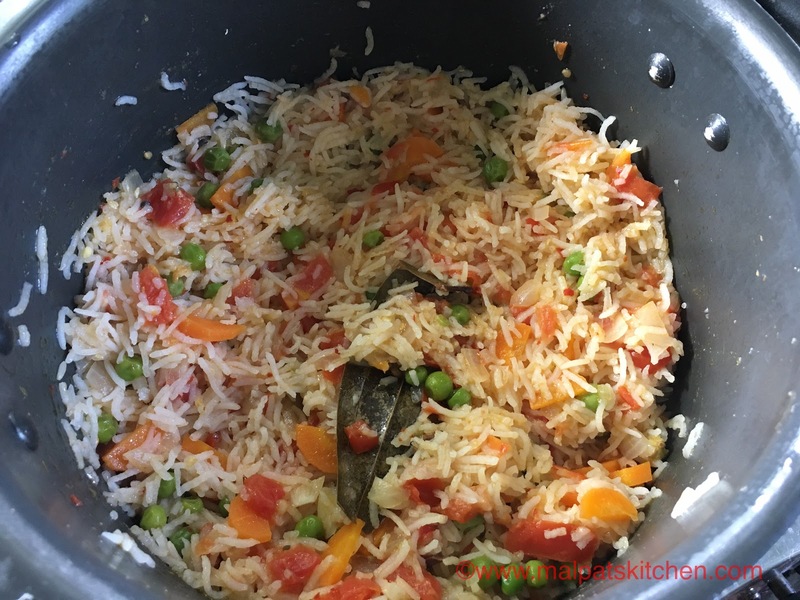 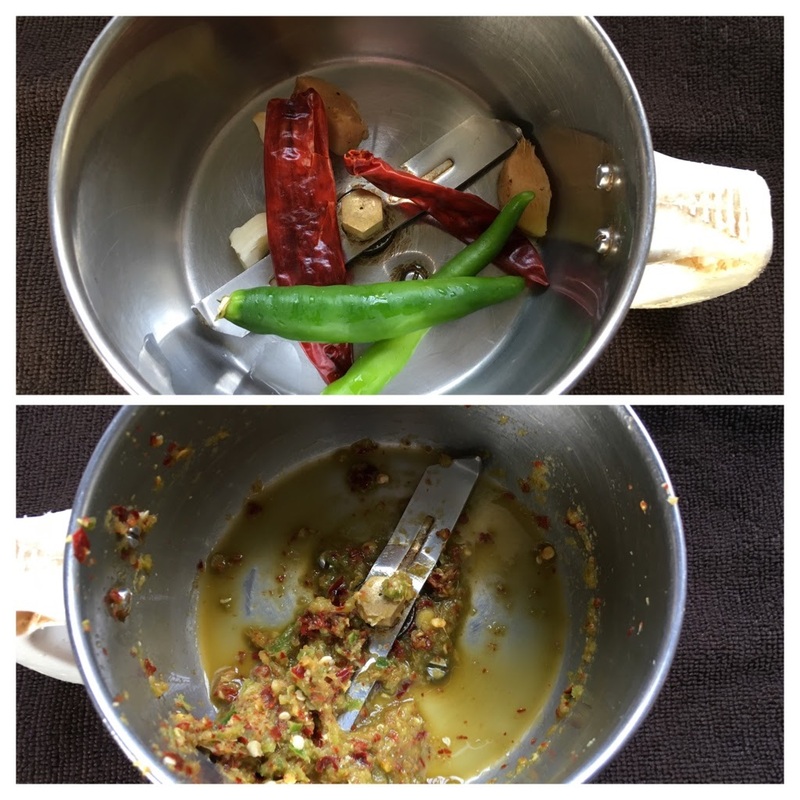 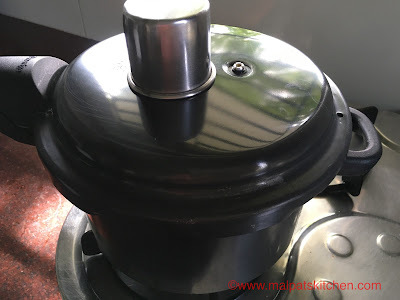 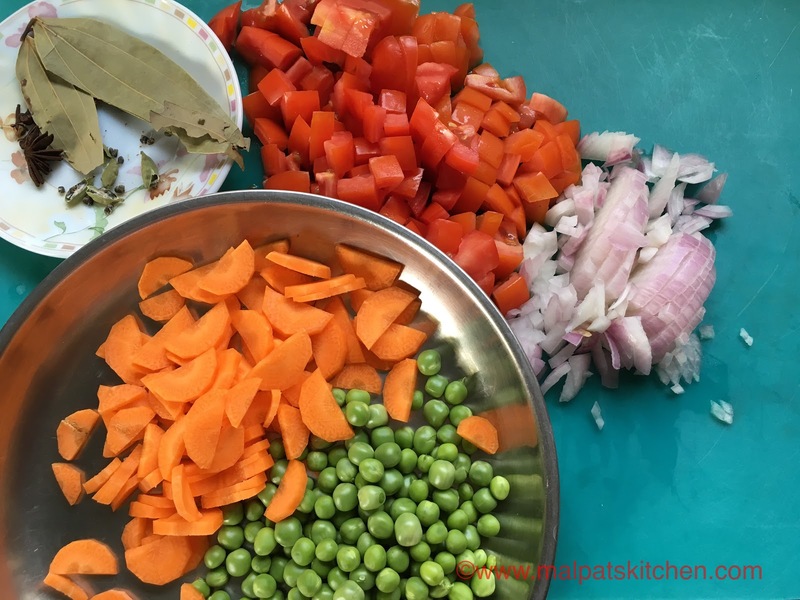 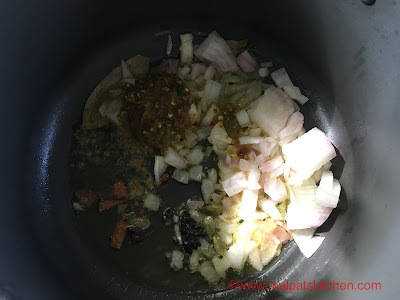 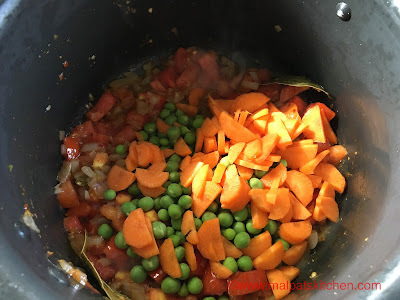 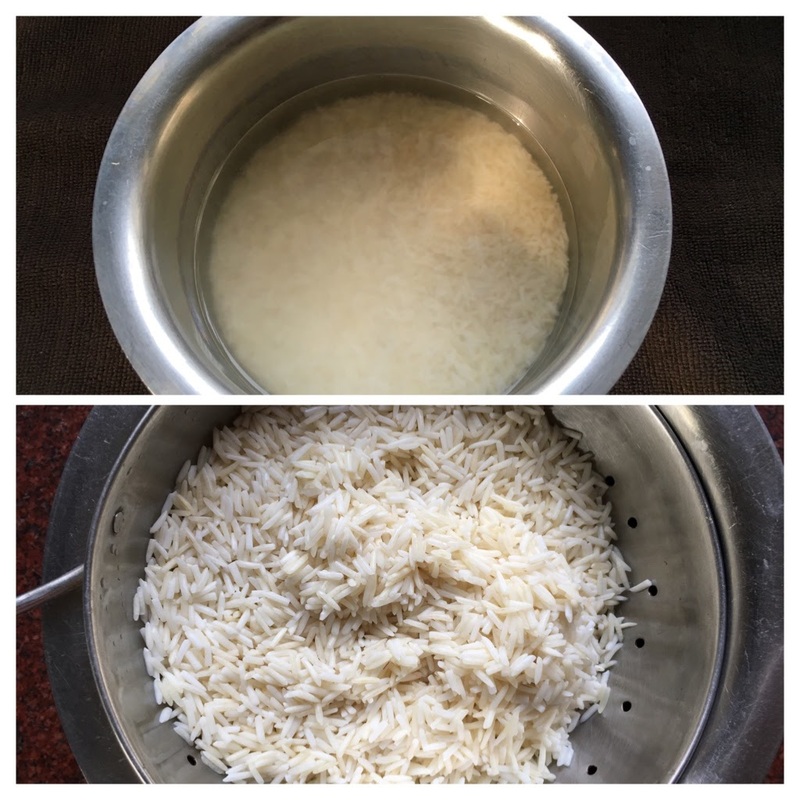 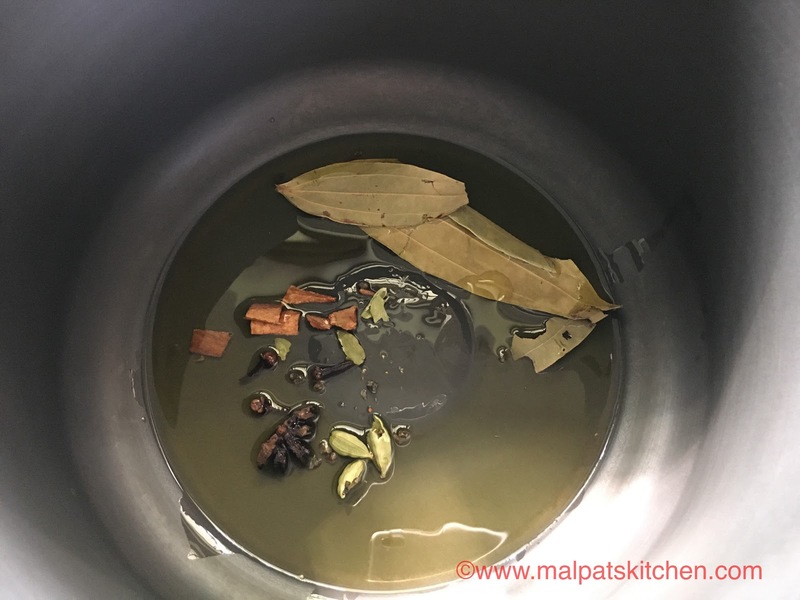 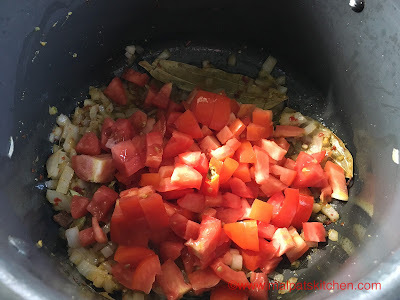 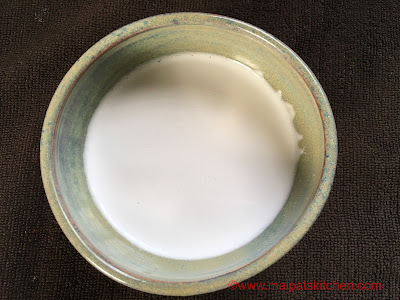 The recipe is from Mallika Badrinath's cook book, but has been modified. 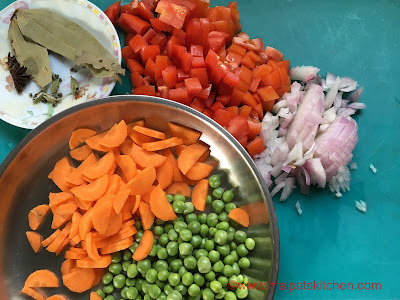 There are some good amount of veggies too in this, it is a complete meal, with a bowl of curds and some papad. 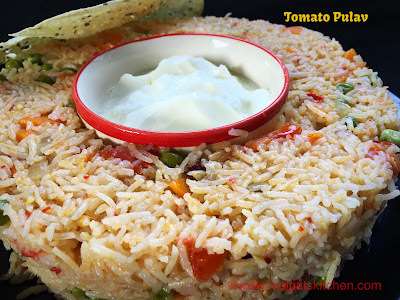 You can serve it with any raita of your choice too. My daughter makes this very often, and in fact, she only asked me to make this. 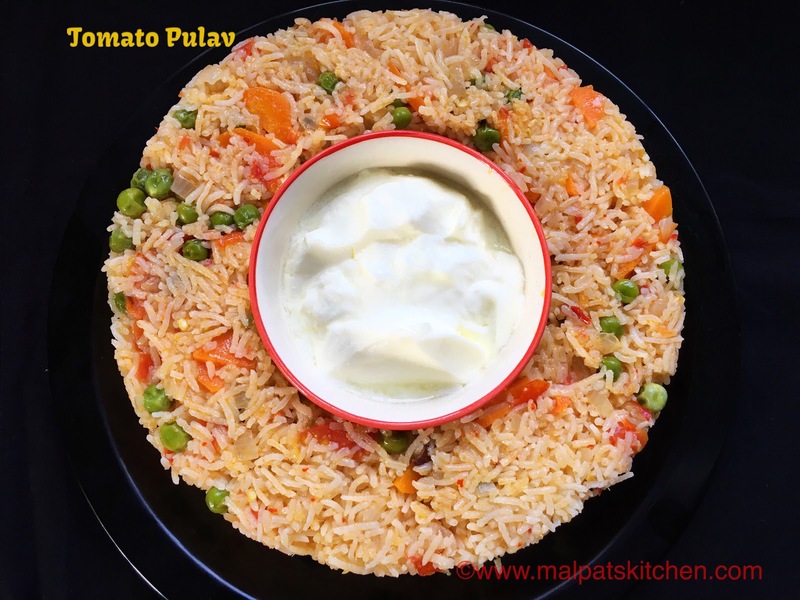 Serve this extremely tasty pulav with curds and papad.